One of India’s most successful golfers discusses growing up in a sporting family and retaining passion for the game he took up over 25 years ago. So the right values were ingrained, the stress was on working hard and being a self-made person. “My parents always told me that you have to earn the respect.” The importance of discipline and routine couldn’t have been emphasised more. “My love for the profession and desire to do well are the two things that push me. I’m not afraid of doing things that I love doing,” says the first Indian to join the European tour in 1998. Jeev has since then won four events on the European tour, making him the most successful Indian on the tour. He was honoured with the Arjuna Award in 1999, only the third golfer to be so recognised. In 2006, he broke into the top 100 of the Official World Golf Ranking, the first Indian to do so. Both father and son have been honoured with the Padma Shri, the fourth highest civilian award in India, making them the only family in India with two of this award. Jeev Milkha Singh with actor Farhan Akhtar (left) who played his father Milkha Singh (centre) in the film Bhaag Milkha Bhaag. Today he is involved with the Milkha Singh Charitable Trust founded in 2003 which helps the needy and sportspeople. “If you do charity, you don’t talk about it, it takes away the cause,” says Jeev. 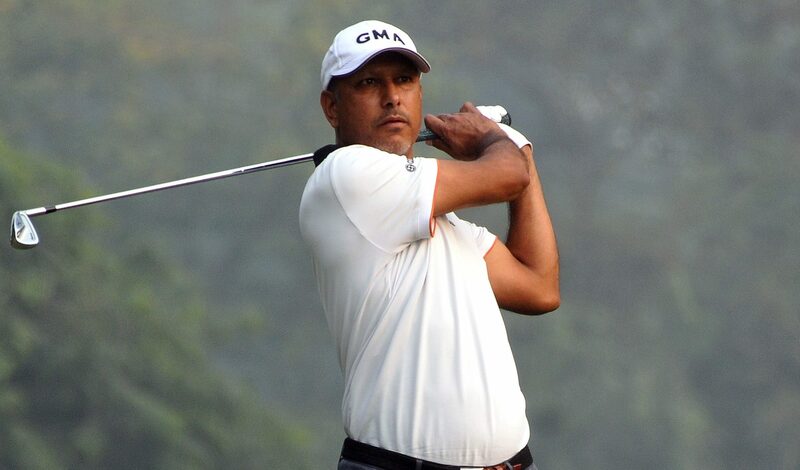 “I had opportunities to open academies all over the country but I don’t have the time, it doesn’t make sense, if I can’t invest the time required,” says the only Indian golfer to have a tournament named after him (Jeev Milkha Singh Invitational) that began in November 2018. Taking both criticism and adulation in his stride, Jeev has stayed focussed on making the most of the sport. “I’m very fortunate that I’m making a living out of what I love doing. Not many people have that. And that’s what makes you succeed in life,” he says. “I have a few years left [in the game], I still want to win on the big stage. I want to win a game before I turn 50, I tell the boys that it is not over till you say it is over, I’m going to prove it by setting an example.” Of course, then there’s the Seniors Tour. Kuheli Sen is a writer-journalist by choice and loves to explore human interest inspirational features. She has worked with leading media houses in India and abroad.